What is the best mulch for roses? TomatoesMulching Tomato Plants: What's The Best Mulch For Tomatoes? I have used just about every mulch available for my rosebushes and for me here in Northern Colorado, I like gravel mulch. Not the lava rock stuff but 3/4 gravel that is either the regular light gray and off white mix or one called Colorado Rose Stone gravel. 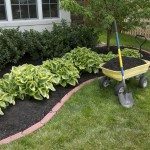 I also like the shredded mulches you can by in the bag at Home Depot or Lowes. The brown color is what I like but there is a regular color that is goldish and then the redish kind too. 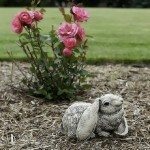 Here is a link to an article on this subject for you too: https://www.gardeningknowhow.com/ornamental/flowers/roses/best-mulch-roses.htm .